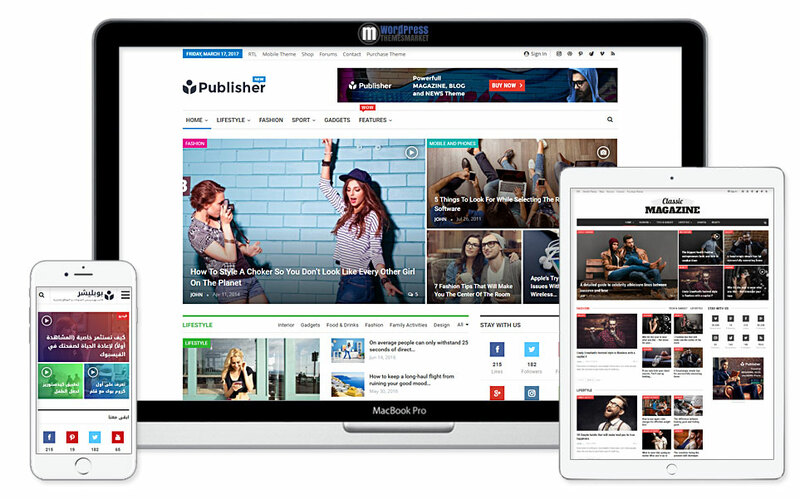 Beautifull Publisher – Magazine, Blog, Newspaper and Review WordPress Theme is strongly focused on details, fast page loading, outstanding features and intuitive user interface. 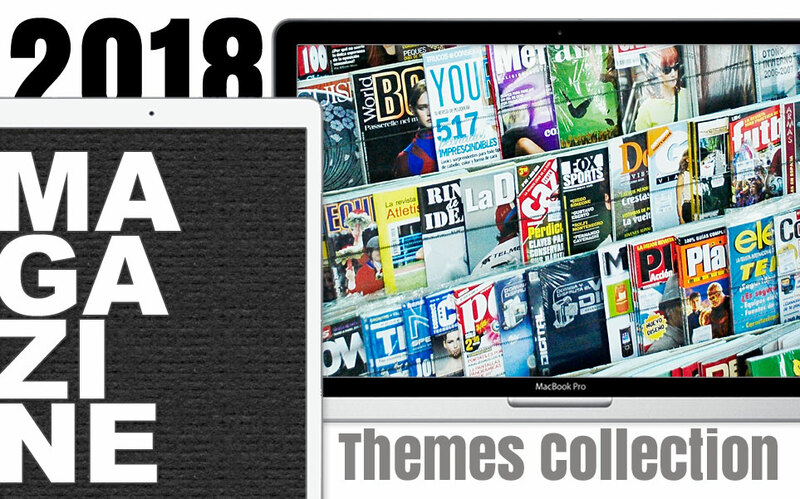 Everything you need to create a professional magazine! This theme is packed with 90+ pre-made homepages that were designed for any purpose, e.g. Sport, Classic blog, Fashion, Clean Video and much more. Also, it comes with 9 stylish demo to look different for multiple purpose! As I mentioned before, it contains lots of features. Among these features I would like to highlight built-in Translation panel that you can translate this theme in minutes, AMP support that loads 4x faster on mobiles, Auto-update feature that will update itself. Also, it supports RTL and WPML. Beside that, you will get 8 header styles, 13 post templates, 100% rich snippet, unlimited colors, advanced ads manager and much much more! You will also get well-known premium plugins – Visual composer and Revolution slider. It is also WooCommerce compatible and WordPress Multi-Site (WPMU) Tested and Approved! Hands down! This is a Rich Feature Theme! 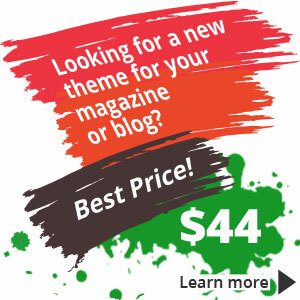 When you buy this theme, you will get everyhing you need to start with! 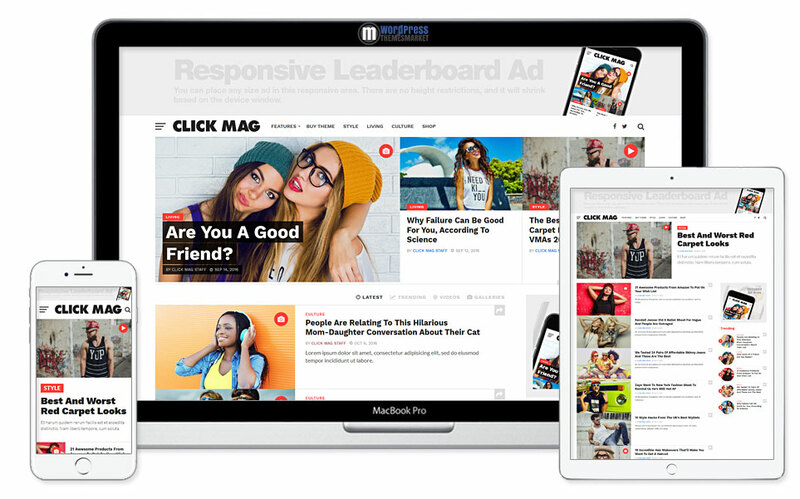 Click Mag magazine / blog theme has been developed to present an attractive content and maximize clicks while keeping visitors returning to your site. This fully responsive, 2 columns template with an attractive design offers various social sharing options, SEO optimization, maximum ad exposure and many other features. Publish trending news through your text, video or audio posts. Click Mag theme can be used with WordPress versions 4.0 to 4.7.x and quarantees correct look and functionality of your website in the most common browsers (IE11, Firefox, Safari, Opera, Chrome). The template is also compatible with WooCommerce 2.6.x and bbPress 2.5.x. 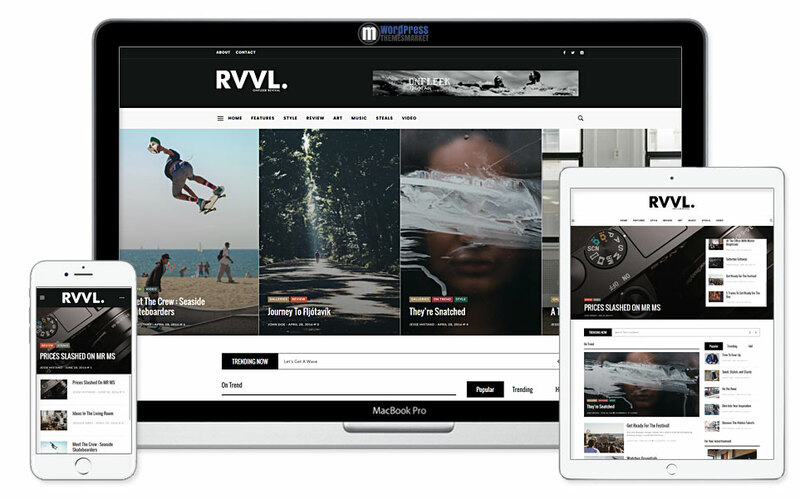 BoomBox is elegant, fresh viral magazine theme that includes tons of features. BoomBox is well-known for its outstanding design, extremely customizable layout, full of viral features and powered by the most powerful viral content builder and social MashShare plugin! Also, you can monetize your content and earn some money via built-in WP QUADS plugin. I would say that BoomBox theme rocks among the viral magazine themes. 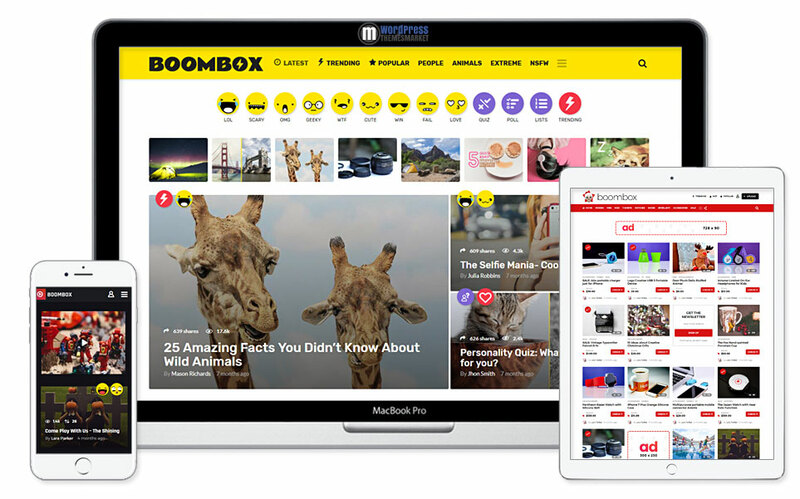 As you can see, BoomBox theme is packed with Configurable Posts Ranking System, Engaging Reaction Voting System, Attractive Multipurpose Badges, Powerful Social Sharing System, Integrated with Viralpress Front-end Uploader and other Features. BoomBox is simply the best viral theme ever made. You get 2 columns, WooCommerce compatibility, buddyPress compatibility and most browsers compatibility. Enough typing, if you are viral, then get the BoomBox theme now! 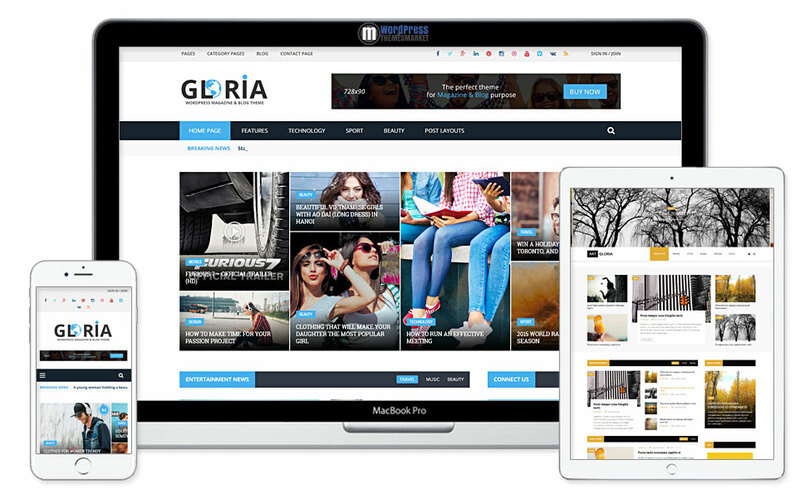 Gloria is a Multiple Concepts Blog Magazine WordPress Theme focused on blog content, its design and lets you write articles and blog posts with ease. 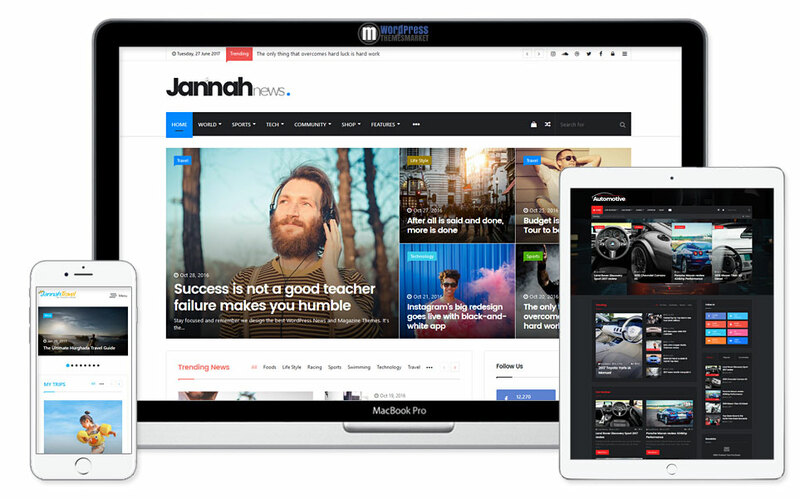 This WordPress template is dedicated and excellent for a News, Newspaper, Magazine, Lifestyle or Review site with support of videos from YouTube, Vimeo and features a rating system. This highly customizable theme is packed with 6 completely unique demos with 6 header variations, unlimited layout, colors and fonts, one-click demo installation, AJAXed live search, google rich snippets support, AJAXed login and register, unique featured images, page builder and many many more! 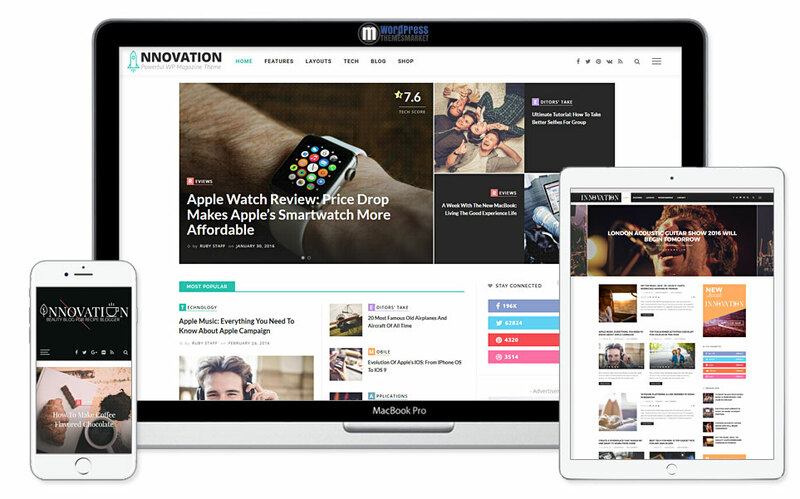 Today, I brought to you high quality premium WordPress Magazine Themes that are used many famous companies and that means huge success of premium WordPress Theme Developers that are still pushing their limits to develop the best WordPress Magazine Themes ever.